Anyone who’s ever lived or traveled in the beautiful state of Kansas can tell you that it’s flat and the wind almost always blows. What they may not know is that Kansas is located in the center of America’s wind tunnel – a corridor through the middle of the country where almost all of the nation’s best on-shore wind resources are located. Currently, Kansas is home to 25 active wind farms with several more under construction. 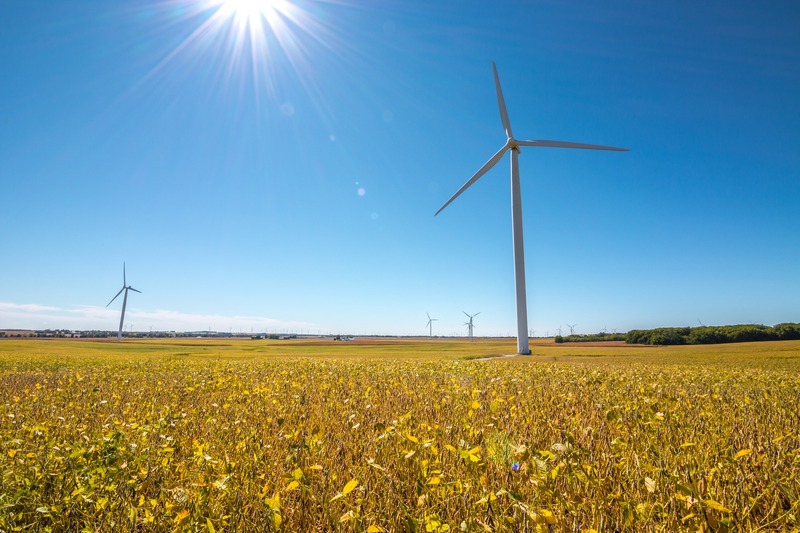 With so much wind potential, Kansas has become a major wind energy exporter, offering unparalleled opportunity for manufacturers of major components such as turbines, towers, generators, gearboxes, and internal components like power converters and sensors. Kansas also enjoys an abundance of sunshine, driving a healthy demand for solar energy systems. Manufacturers of solar panels and components like aluminum frames, sensors, collectors, pumps, valves, insulation, and tanks, will also find Saline County the perfect place for companies that are ready to meet that demand. With its central location and enviable transportation network, Saline County is an ideal location for businesses in the alternative energy sector. Whether you’re in the wind or solar industry, you’ll find a business-friendly environment, a highly skilled workforce, and plenty of available space for operations of any size. Click the links to see how Saline County, Kansas is creating an environment where alternative energy businesses see renewable success.